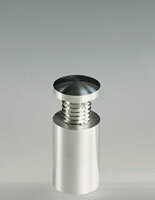 Holds acrylic signs at a right angle for maximum visiblity. 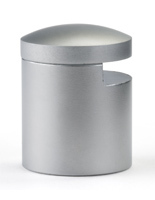 Metal construction with satin finish provides upscale style. 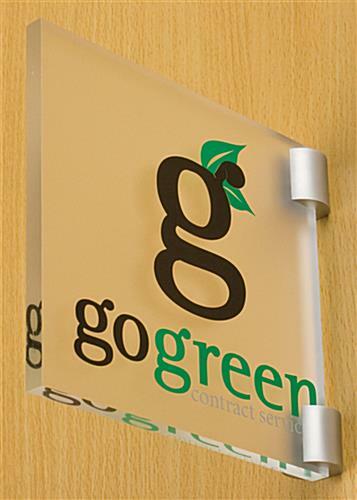 Sign support displays acrylic signage up to 3/8" thick. 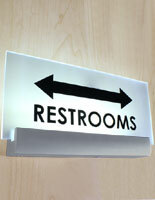 This sign support comes with two brackets for holding acrylic signage at two points. Each sign support measures 1"w x 1"h x 7/8"d. Signage is spaced exactly 1/4" from a wall with these sign supports. 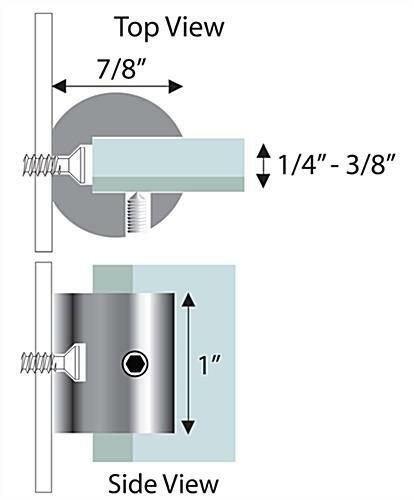 A gap of 7/16" in the sign support is designed to hold acrylic signage ranging from 1/4" – 3/8" thick. 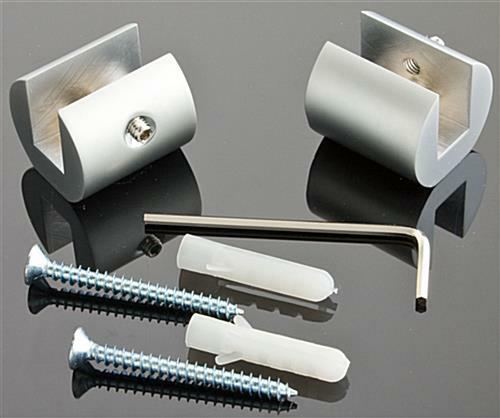 These brackets are sign supports manufactured from solid metal; making them more durable than plastic hardware. 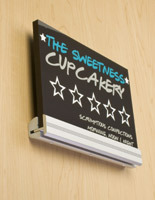 This sign support, also known as hardware, features a satin finish for a contemporary style. 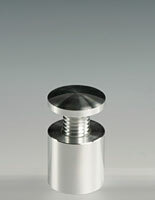 We supply the sign support with hardware for mounting and securing acrylic inserts. With a compact design, a sign support is the sleekest way to display informational or directional signage. There are many reasons this sign support is preferable over other brackets. First, the 90° angle these sign supports hold acrylic signage at is highly visible. Unlike brackets that hold signs flat against a wall, these displays position signage directly in a patron's line of site. 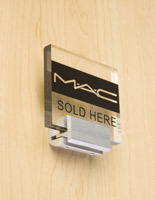 This makes the sign support ideal for displaying an acrylic sign providing directions, in addition to advertisements. 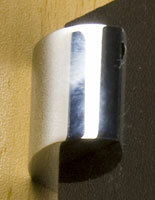 Additionally, these brackets are small. 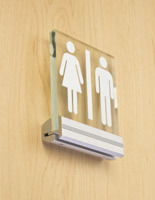 Many wall mounted brackets are bulky and detract from the signage they display. You don't have to worry about that with these displays. This set of signage brackets accents signs in a subtle and sleek way that will not detract from your acrylic sign. 1.0" x 1.0" x 0.875"